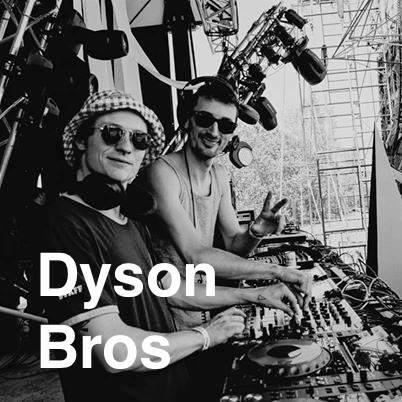 Dyson Bros is a french duo of Djs and producers also know as John Eloi and Brice Mionet. Coming from different parts of France, they met in Montréal and began their musical careers together. Their different musical background and influences can be felt in their sets and in their tracks witch makes them a really dynamic duo, with whom you never get bored ! They started djing in 2013. After a first booking at the Salon Daomé for the Lofthanza party, they slowly established themselves onto the local scene gig after gig. Signed on Kizi Garden Records with several tracks and an Ep released, they intend to keep on conquering bodies and minds with their unique sense of groove.